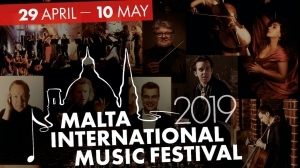 Events happening in Malta during April 2019. Let our LOCAL EXPERTS help you find events by date, type or location. Visit My Guide Malta. Rich Arabs In Malta™ welcomes you to a magical mix of Arabic One Thousand and One Nights' atmosphere and a Latino Fiesta. Inspired by the prehistoric sites of the Maltese Islands, Renzo Spiteri invites audiences to experience his new contemporary work 'Evolution'.